Does radiation from wireless devices harm sperm? Wireless radiation also changes sperm structure and causes irreparable damage to its DNA. These studies have been confirmed by data collected from around the world. Data presented presented in the 2013 conference of the European Society of Human Reproduction and Embryology showed that, over the past 15 years, the sperm count of men aged 18 to 25 has dropped significantly. In Israel, for example, there is a 40% decrease of sperm quality in the past 10 years; 25% of couples are in fertility clinics. “Habits of cell phone usage and sperm quality – does it warrant attention?” is a recent study from 2016 conducted on 106 males by the Technion – Israel Institute of Technology (the Israeli equivalent of MIT) and Carmel Medical Center. The study found that 47% of men who stored their cell phones in their pants had abnormal sperm, compared to just 11% for the average male. 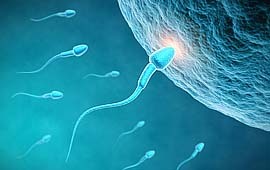 Can the harm to sperm be reversed? Is there evidence of harm to the reproductive system of women? There is also evidence of harm to the female reproductive system, but the evidence is not as strong as that for sperm. However, as thousands of studies have proved beyond doubt that exposure to radiation emitted from wireless devices harms many organs and systems in the body, it is likely it also affects the eggs and the reproductive organs of the female. Further, animal studies have shown that severe biological harm can occur as a result of exposing the fetus to radiation. For example, Hugh Taylor, MD, Yale University professor and chair of its Obstetrics, Gynecology, and Reproductive Sciences department, established in his research that fetal exposure to wireless radiation affects neurodevelopment and behavior and may cause ADHD. To watch his presentation on the findings of his study click here. This Report is the most comprehensive review of scientific studies on the harms of radiation emitted by wireless devices and technology. Habits of cell phone usage and sperm quality - does it warrant attention? In the past 10 years the number of children who suffer from autism has increased exponentially. 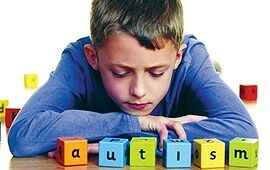 According to CDC data, the rate of autism has gone from 1 in 1000 to 1 in 65. In 2013, Prof. Martha Herbert from Harvard University examined a potential link between autism and wireless radiation after considering that the main environmental change that had occurred in the past 10 years had been the increase in exposure to this radiation. Prof. Herbert is a pediatric neurologist and neuroscientist who specializes in neurodevelopmental disorders and is known for her work on autism. She expected to write a paper of modest length, but upon finding much more scientific literature than expected, she ended up writing a 60-page paper with over 550 scientific references and concluded that a correlation is possible. Since her examination of the topic, she has become an avid advocate on the issue of the harms of wireless technology radiation and objects to the installation of Wi-Fi in schools. Clear Light Ventures is a social venture founded by Peter Sullivan, a former US Air Force pilot who is now an IT professional in Silicon Valley. Clear Light Ventures' mission is to improve human health by removing widespread environmental health threats. Their current focus is on electromagnetic radiation and its correlation to autism. 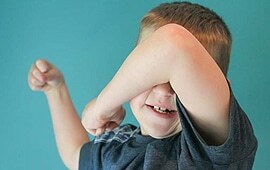 The number of children who suffer from ADHD (Attention Deficit Hyperactivity Disorder) has doubled in the past 10 years. There are numerous studies that establish wireless technology radiation can create cognitive effects such as ADHD and other behavioral disorders. Prof. Hugh Taylor, Yale University professor and chair of its Obstetrics, Gynecology, and Reproductive Sciences department, established in his research that fetal exposure to wireless radiation affects neurodevelopment and behavior and causes ADHD. To watch his presentation about the findings of his study, click here. A team of scientists has reviewed over 3000 studies and published their conclusions in a report called The Bio-Initiative Report, last published in 2012. In regard to ADHD and behavioral disorders, the scientists concluded: “Fetal (in-utero) and early childhood exposures to cell phone radiation and wireless technologies in general may be a risk factor for hyperactivity, learning disorders and behavioral problems in school.” This conclusion was confirmed by Prof. Martha Herbert, a Harvard professor, pediatric neurologist and neuroscientist, in a letter objecting to the installation of Wi-Fi in schools that was sent to the Los Angeles Unified School District. The Baby Safe Project is an initiative—signed by over 140 physicians, scientists and public health professionals—that warns the public about the potential harms of wireless technology radiation to pregnant women and to the fetus. The California Medical Association Resolution On Wireless addresses the many adverse effects wireless has on adults and children, including ADHD. Letter from Prof. Martha Herbert of Harvard University objecting to the installation of Wi-Fi in schools. The letter states that exposure to Wi-Fi radiation is causing behavioral problems and learning difficulties. Prof. Herbert is a pediatric neurologist. Presentation by Yale University professor Dr. Hugh Taylor about his study correlating ADHD to fetal exposure to wireless radiation. Dr. Taylor is the chair of Yale's Obstetrics, Gynecology, and Reproductive Sciences department. Does wireless technology radiation cause cancer? the presence of conflicting interests and artificially manufactured doubt. There are numerous animal studies proving beyond doubt that this radiation can cause cancer. malignant schwannoma of the heart (a very rare tumor). This study also proved that there was “a significant dose-response relationship”. These findings were withheld from the public and scientific communities. With the understanding that these results have alarming implications for public health, the participating scientists acted independently and gave an interview to Microwave News about the study and results. Epidemiological studies, including those published by Prof. Lennart Hardell, MD, PhD (a leading scientist on the issue of cell phones and cancer, and a member of IARC, the WHO agency responsible for the classification of carcinogens), as well as the Interphone study (an interview-based case-control study, which was conducted in 13 countries using a common protocol), confirm the physiological findings and indicate an increase in these cancers and tumors in the population and leave no doubt as to a causal relationship between wireless technology — especially cell phones — and cancer. What types of tumors have been correlated to cell phone use? Are more people getting brain tumors as a result of cell phone use? Data from the US through 2006 show that the rate of brain tumors associated with cell phone use has doubled for adults. It is reasonable to assume that now, ten years later, it is probably higher. A study published in Pathophysiology in March 2015 analyzed data from Sweden through 2009. It showed a clear trend of increased risk of brain cancer with longer cell phone use and found the risk to be three times higher for people who used cell phones for 25 years or longer. The rates are higher for children. Unfortunately, interested parties continue to mislead the public and manipulate the data to claim that there is no increase in brain tumors. An article in Microwave News, a highly respected leader in reporting on the issue of wireless technology radiation, sheds light on the real facts and data. To read more about the correlation between cell phone use and the rising rates of brain tumors in the US, press here. Are children more vulnerable to brain tumors from cell phones? His study found that people who started to use cell or cordless phones before the age of 20 have the highest risk of developing glioma. In 2016, a new report published in the journal Neuro-Oncology and funded by the American Brain Tumor Association found that malignant brain tumors are the most common cause of cancer deaths in adolescents and young adults. Are there any court cases? There are many cases and lawsuits around the world, but the wireless industry has been settling most of them out of court to avoid publicity. In 2013, the Italian Supreme Court acknowledged that a cell phone provided by a plaintiff’s employer caused a brain tumor. In the US, there are 29 brain tumor cases in the courts. In a 2015 evidentiary hearing, the Superior Federal Court of the District of Columbia ruled that general causation between brain tumors and cell phones was established, and therefore allowed the cases to move forward. Is cancer the main adverse health effect from wireless technology and cell phone use? Since cancer takes a long time to develop, only now — 20 years after cell phones have become popular — are we beginning to see the impact of wireless technology on cancer rates. Also, because causation is difficult to establish, it is difficult to determine the extent of the radiation-related cancers. However, there are other conditions caused by wireless radiation that seem to have higher incidence, at least in the short term, such as electromagnetic sensitivity and fertility problems. 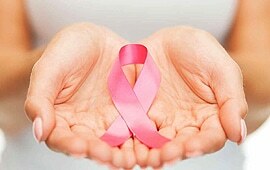 Nevertheless, the interested parties have been focusing the discussion on cancer because it is easier to create doubt regarding the cause. Electromagnetic sensitivity (ES), also known as electromagnetic hypersensitivity (EHS), electromagnetic intolerance (EMI), and in cases of wireless exposure by an older name, “microwave sickness”, is any sickness, acute or chronic, that is caused by electromagnetic fields (EMF) and electromagnetic radiation (EMR). When people with ES are exposed to EMF and EMR from wireless and electrical sources – cell phones, Wi-Fi, cell towers and antennas, tablets, cordless phones, wireless “smart meters”, powerlines, appliances, and imbalanced home wiring among others – they experience signs and symptoms of adverse health effects. What are the common symptoms of ES? What physiological damage is associated with ES? The signs and symptoms that are associated with ES may indicate serious physiological harm. A recent study by Prof. Dominque Belpomme (2015) was conducted on about 700 people who have developed ES. The data indicate serious physiological damage to the blood-brain barrier, hypothalamus and immune system, as well as neurodegeneration. Numerous other scientific studies have also established a correlation between the signs and symptoms experienced by people who have developed ES and exposure to EMR and/or EMF. How many people suffer from ES? With exposure to wireless technology radiation increasing exponentially, the number of adults and children who have developed the sickness is growing rapidly. Surveys conducted through 2006 indicate that 10% of the population was suffering from ES. Considering the increase in use of wireless technologies in the 10 years since, it is safe to assume that the percentage of people who have developed ES is higher and at epidemic scale. While there are other conditions which have been associated with exposure to wireless radiation, it is clear that ES is the most widespread and the quickest to manifest. Human bodies are electromagnetic in nature and thus are affected by wireless technology radiation and EMF. People are not born with ES but develop it as a result of exposure to wireless radiation and artificial EMF sources. With the increase in personal and environmental exposure to these fields and radiation, rapidly increasing numbers of people are developing ES. This increase – documented by surveys – shows the falsity of suggestions that those who suffer from the condition are a small fraction of the population. The higher prevalence among hi-tech and wireless industry workers is yet further proof that there is a dose-response relationship: Matti Niemelä, Nokia’s Chief Technology Officer; Per Segerbäck, Ericcson mobile phone engineer, and Dr. David McDonald, CSIRO senior scientist – all senior-level employees in the wireless industry – have developed the condition. The only known effective “treatment” is avoidance. However, with the proliferation of wireless technologies, this is becoming increasingly difficult and is nearly impossible. As a result, many people are forced to leave their homes, families and jobs, and become refugees with nowhere to go. Since most scientific studies are funded by the wireless industry, which is doing its best to discredit the connection of the sickness to wireless technology, there are very few studies about the potential mechanisms involved in its development. Sadly, no official cure can be offered at time. Is ES a medically diagnosable condition? An increasing body of objective diagnostic tests and guidelines for the diagnosis and management of the condition exists. Most recently, the EMF Working Group of the European Academy for Environmental Medicine (EUROPAEM) published the European EMF Guideline 2016 for the diagnosis and treatment of ES. These guidelines follow after earlier guidelines issued by the Austrian Medical Association. elimination of other potential causes. The EUROPAEM EMF Guideline has been adopted by doctors around the world. Is ES a recognized condition? Numerous international organizations, medical associations, doctors and hospitals in several countries and countless courts have recognized ES. The European Parliament recognized the condition and its correlation to EMR in 2009 as part of a “Resolution on EMFs and Health“. Most recently, a court decision in France ordered disability payments to a woman for an “allergy to Wi-Fi” and in August 2016 a decision in Spain awarded an Ericsson engineer disability payments for developing ES. Why are doctors and the public unaware of ES? Despite its epidemic scale, the wireless industry and other interested parties are doing whatever they can to suppress the problem. They make baseless claims that the problem is psychological and they fund subjective provocation studies rather than physiological studies. Governments clearly have a vested interest to avoid dealing with this problem for as long as possible. These factors contribute to the lack of awareness and information available to doctors; as a result many people are misdiagnosed and receive the wrong treatment. Who is the most famous person who developed ES? Gro Harlem Brundtland, physician, former Director-General of the World Health Organization and former Prime Minister of Norway. Personal stories of people who have developed electrosensitivity. PHIRE (Physicians’ Health Initiative for Radiation and the Environment), founded by Dr. Erica Mallery-Blythe, is an independent association of medical doctors and related specialists assembled for the purpose of improving knowledge in the medical establishment with regard to the health effects of wireless technology radiation, and to provide doctors with the knowledge and tools they need to diagnose and treat their patients. C4ST is an organization established by Mr. Frank Clegg, former 13-year CEO of Microsoft Canada who left when his wife developed ES. He now dedicates all his time to the issue of informing the public about the danger of wireless technology radiation. The C4ST website has a section on ES which includes a very elaborate and clear explanation of ES in a convenient Q&A format. It also includes a summary of some scientific studies related to ES.